Known for their energy-efficient features, our homes help you live a healthier and quieter lifestyle while saving thousands of dollars on utility bills. MLS#2247670. 3037. Bella Casa - Enjoy quiet evenings on your private SCREENED PORCH.Amenities incl 3 Pools, 2Clubhouse,Tennis Courts, Playground. MLS#2246520. 4632. Known for their energy-efficient features, our homes help you live a healthier and quieter lifestyle while saving thousands of dollars on utility bills. MLS#2247636. 3037. Known for their energy-efficient features, our homes help you live a healthier and quieter lifestyle while saving thousands of dollars on utility bills. MLS#2247630. 3037. Dimensions are approximate but deemed reliable. MLS#2247511. 639. Sink in laundry room, Crown moulding entire 1st floor living. MLS#2247517. 3789. Engineered hardoow floors included on 1st floor open living areas. MLS#2247442. 3789. 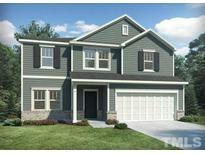 White Oak Creek - Schedule a showing today, to tour this beautiful home! MLS#2247340. 1935. 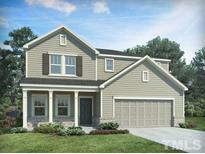 White Oak Creek - Upgrades abound in this model, come see it today! MLS#2247339. 1935. Second floor boasts a large loft, 2 secondary bedrooms and a full bath. MLS#2247281. 4692. Community clubhouse and swimming pools opening later this year. MLS#2247324. 3789. Other opportunities available this spring and summer for move-in ready homes. MLS#2247224. 3789. The Park At Langston - Nearby you'll have easy access to shopping and dining amenities, plus Lake Wheeler park with outdoor recreation including kayaking and fishing. MLS#2247272. 1127. Hollands Crossing - To top it off, this home is nestled in a great neighborhood with playground and pool! MLS#2247262. 1127. Deerfield Park - Conveniently located near grocery, parks, downtown Raleigh, Cary and Apex! MLS#2247365. 4542. 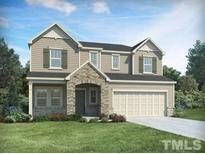 Covington - Upstairs features master suite w/sitting room & bath with his/hers vanities and closets, bonus room & 3 other bedrooms. MLS#2247038. 1618. Salem Village - Tankless hot h2o, 3 car garage & storage rooms. Neighborhood pool & clubhouse. MLS#2246698. 3245. Branston - 900+sq ft walk up unfin attic. Open Sat/Sun. MLS#2245813. 989. The Park At West Lake - NEW CARPET, NEW HVACs, NEW WATER HEATER; Hardwood floors & ample millwork on 1st floor; Study w/ French doors, OPEN CONCEPT family Room & kitchen; Kitchen offers granite, tile splash, stainless Appliances, 42" Cherry cabinets & HUGE pantry; Back stairs to large bonus Room; Roomy master w/ Walk in Closet & LUX tiled bath; Loads of storage in WU attic; Generous screen porch & patio. MLS#2245858. 1710. Subdivision conveniently located to I-540, US-1, and US-64, for quick access to the Triangle area. MLS#2246741. 4732.